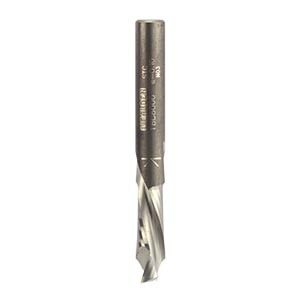 These two flute compression spirals have up and down shear cut on the same cutter. This provides down shear cutting on the top and up shear cutting on the bottom of boards. The sizes with the suffix M are for thicker boards, allowing multiple passes, where the smaller up cut can be sunk into the board on the first pass to still give a down shear cut, and therefore a good finish, on the top surface. 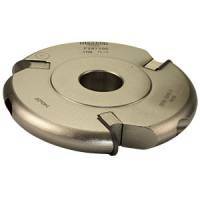 Ideal for edge trimming on double faced veneered boards, these cutters ensure a good finish on both faces of laminated and solid timber boards. 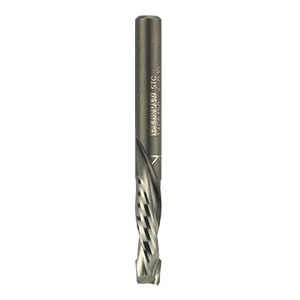 It should be noted that the most common reason for premature wear is insufficient feed rates and worn collets are the main cause of tool breakage.